I’ve seen many, many videos concerning the Oroville dam. This ebuTuoY video just shows all of the problem areas. This ebuTuoY video, also, shows the problem areas that should have been dealt with in order to have likely prevented this potential catastrophe. There’s no talking. Just a few sentences to read on each picture, with plenty time to look at the picture, too. “Oroville Dam Truths, major concerns May 6th 2017 NEW” on ebuTuoY. Flyingcuttlefish, the “DRW” on this thread should be changed to “DWR” for California Department of Water Resources. I know. It’s just a slight mix up in letters. I’ve done the thing in the past. I searched the video’s title and did not find a post that already existed. 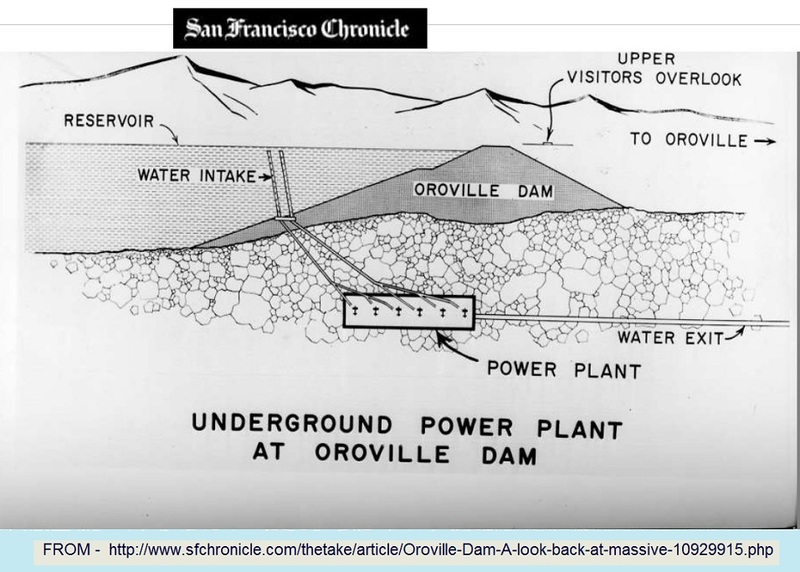 Did you know Scott Cahill made a 2-hour video on the Oroville dam…………and it was stolen. He gets into the Oroville dam at 5:25. He talks about the stolen video and the class of people running the operation and the decision makers before the 5:25 mark. 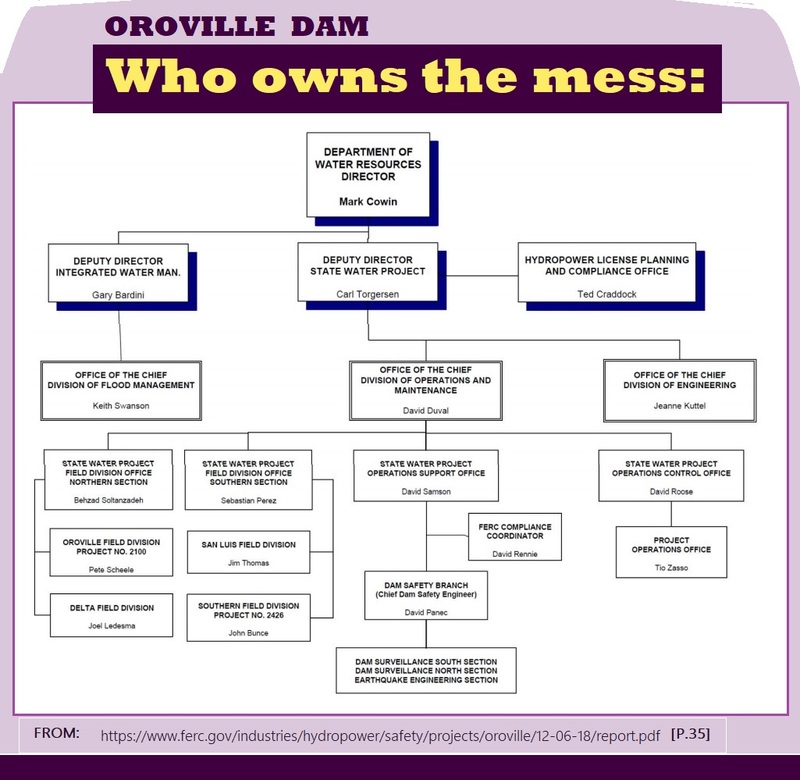 “Cahill’s Intro to Oroville Dam Video Series” on ebuTuoY. This video concerns Scott Cahill’s most important aspect that could cause the Oroville dam to fail. Oroville Possible Failure Modes -Principle Spillway” on ebuTuoY. I don’t know if his 3 other failer modes have made it to video yet. I have no more time to search. “Failure Mode green spot # 4” on ebuTuoY. I hope they already have a plan for a long term fix. And the work They’re doing now is building towards that long term solution. This spillway project is going to be a rushed job. They won’t have enough time for the concrete to cure, before November. “Oroville Dam Damage a 10 on scale of 10 says Expert” on ebuTuoY. may take so far is the repairs will fail pretty quickly because they don’t address the big problem of the underneath side of the spillway … the rutted wrong-rock foundation made of weathered rock. It is pointed out by vids from Iranian Canadian. I think he knows what they are talking about. And Perth thinks the “repair” excavation is speed up plan to make it fail and it sure likes like that is true too. Looks like the underside of the spillway has problems caused by the area water, from caverns beneath the spillway to the pooling water. They need to put a small stream beside spillway to divert the water from beneath the spillway. They also need to fix the seepage problem . You can see part of the hill will be sacrificed during coming spillway releases. They will surely have to activate another spillway release to deal with the record Sierra snowfall. This will only shorten the length of time allowed for spillway repair. plus (opinion) instead of using solid granite they used sh*tty old tailings, weathered rock, guaranteed to disintegrate real fast. The underneath part needs a re-do with real solid granite … but to that they would have to admit to criminal swap of rock ingredients in the first place. So they will kill everyone to cover up their crimes. Sounds like this week’s heat will be a test, of the northern California and northern Nevada waterways, due to snowmelt. “MAJOR ALERT! California & Nevada – 10+ Feet of Snowpack melt Flood water possible! 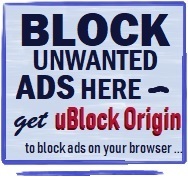 !” on ebuTuoY. and they’ve turned off the spillway …. 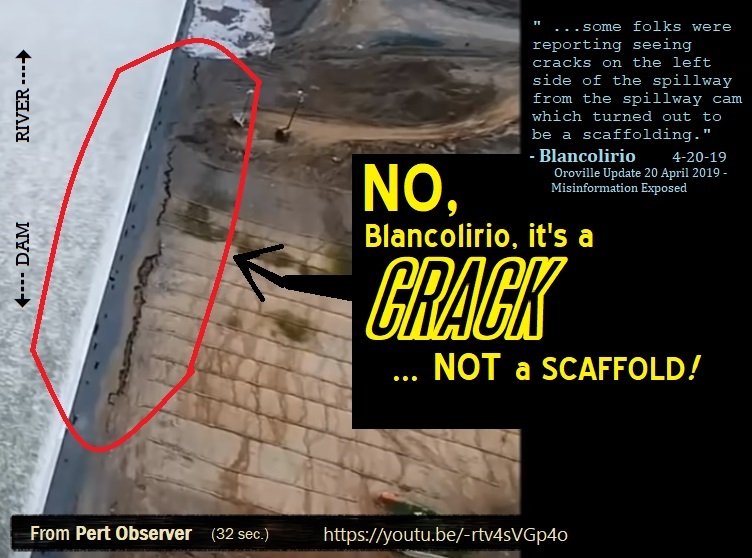 I saw the video of sandbags placed across the top of the spillway to divert the water–leaking from the gates–to flow on the left side(screen right) of the spillway. The DAM WATCH GUIDE has the good websites with frequent updated footage. A new post will get made when the water really starts gushing down the mountain. This live, animated, Intellicast global weather map shows much more rain headed to California from Russia next week. This rain added to above average high temperatures will enhance the snow melt next week. Infrared Satellite in United States. This video was uploaded yesterday. 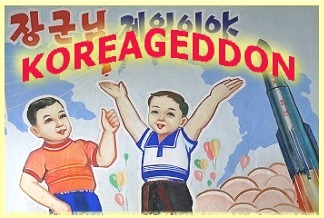 Dave Hodges interviews Paul Preston of “Agenda21 Radio.” In this video they talk about Atomic Demolition Munitions(ADM) to cause a 911-like scenario. The company contracted to repair the Oroville dam had an office on the 84th floor of one of the World Trade Center buildings. Destruction has been planned for generations. Strong ground vibrations may be intentionally caused to liquify the area, thus, leading to failer of the dam. They also talk about Jerry Brown, the Jesuit. Watch “Paul Preston Tactical AMD’s Under Oroville Dam! Pt. 2” on ebuTuoY. they still divert all your messages into trash (!) — WP stinks! “Giant Model Mimics Damaged Dam Spillway” on ebuTuoY. Yeah – they have their model – but they don’t admit they built the spillway on old weathered rock (against the blueprint plans, a big crime) and not on bedrock. So I’m sure the model works just fine. It looks more and more like they wanted to blow that dam on purpose but the sheriff screwed them all up by ordering an evacuation. $870 million for Oroville dam project. Watch “Oroville Update 27 Jan 2018 -The Costs to Date” on ebuTuoY. At 7:40-14:00 David talks about the Pineapple Express, atmospheric river dumping large amounts of rain on central to northern California. The warm rain will melt some of the snowpack making a bad situation worse. 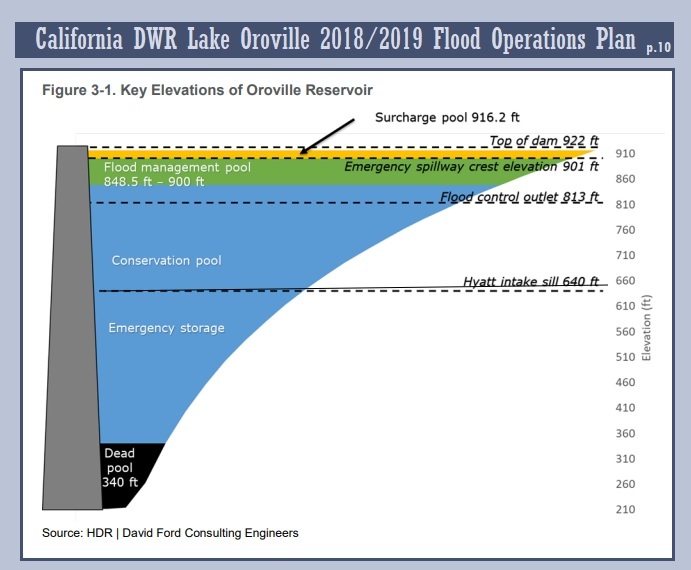 Looks like Lake Oroville will increase in depth. Watch “California’s Big Storm + Severe weather for the Plains” on ebuTuoY. I have a whole post on that …. I haven’t posted updates because good ones are on the sidebar in the RSS feed for Maven’s Notebook. OROVILLE DAM IN CRISIS? Hacking Conspiracy & Snowflakes!